I made your penguin glyph last year with my students and we received many compliments! I can't wait to make them again. I have made many of your glyphs with my students. Wonderful ideas! 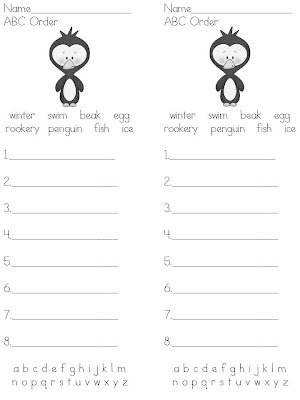 I am sending the link to my first grade teachers...penguins are their unit! You've performed an incredible career. I most certainly will create free store cards certainly dig this in addition to personally advise in order to the buddies. I will be assured they will be benefited because of this site.